Before I continue, if you don’t know what LORAC is, let me explain. 🙂 As mentioned above, it’s a cosmetic company that was created by Carol Shaw – the daughter of a hairstylist and manicurist. Over the years LORAC has grown into a brand like no other — it is the Red Carpet Authority and has unparalleled access to celebrities, which says a lot about the brand!! For today’s post, I’m just going to give you a rundown of everything I received from them. As you could see from the picture above, there are several different items! The first thing I noticed right off the bat is the Unzipped eyeshadow palette that comes with a deluxe sample of their Behind the Scenes Eye Primer. 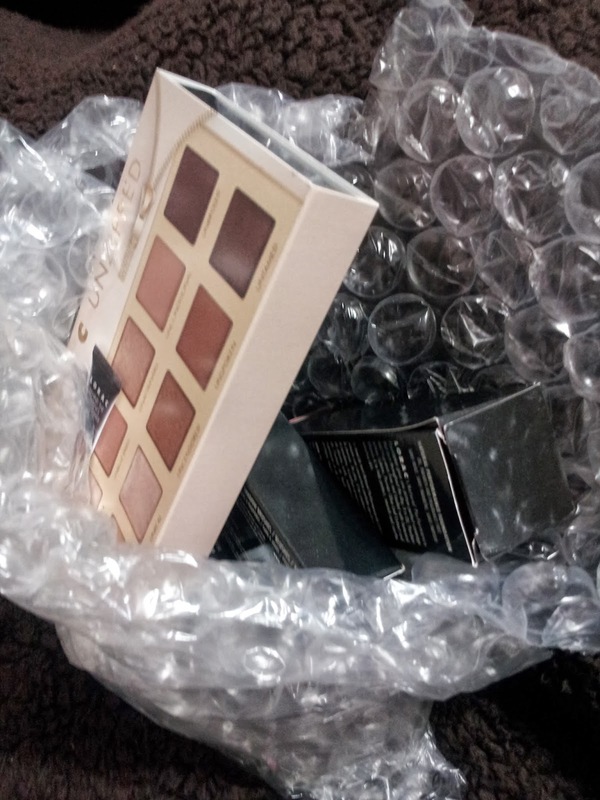 Since I am a big eyeshadow junkie (I LOVE playing with new shadows and different colors) I was thrilled to get this palette, as well as the Pro To Go eye and cheek palette. This little duo palette will come in super handy for when I travel and don’t want to take a bunch of stuff with me! They also sent along one of their Natural Performance Foundations for me to try. I’m always on the lookout for a good foundation that will give me great coverage (since I deal with acne and hyper pigmentation a lot!) but keep my face look natural and not too cakey. So I’m excited to give this one a try! The next product was their Front of the Line Pro water-resistant liquid eyeliner. The color I received was brown, and since I only owned black liquid eyeliners before this, I was really excited about this one! 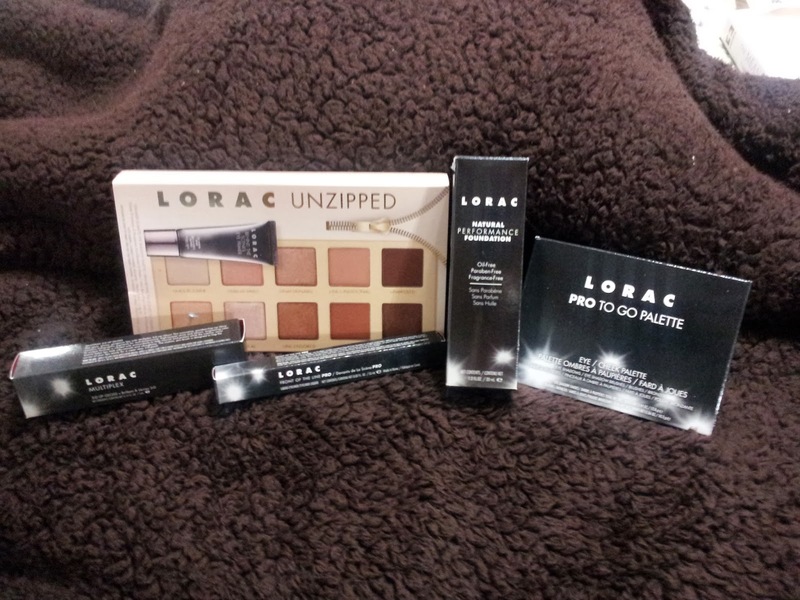 The last item in my LORAC bundle was their Multiplex 3D Lip Gloss in Intermix. The color is a kind of bronzed pink – which is usually the kinds of lip colors I like to wear, so it worked perfectly! Well, there you have it! That’s my exciting package I received in the mail this week. 🙂 I look forward to bringing y’all reviews in the near future! I know I don’t usually post a “What’s in My mailbox” kind of thing…but I’m seriously reconsidering doing that on occasion. I’d love to get your opinion on it! Would you be interested in reading a “What’s in My Mailbox” post? I don’t think I’d post it once a week or anything (since i don’t get things that frequently), but maybe whenever I do get something in the mail. Please just feel free to share your thoughts in the comments below!! I'm excited to hear more of what the products are like! I have heard of this brand before but only a little. It will be interesting to learn more about it. What would a "Mailbox" post be? I would answer your question, but i am not sure what it is. 4readin – What I mean by a "What's in my Mailbox" post would be something I would do to show you what I got in the mail. Maybe a few times a month…or whenever I get something noteworthy. Like I did in this post, I would include my 'unboxing' pictures and just give you my first impressions of the products, which I'm excited about, and just an informative post about the products or company I am reviewing them for.